Vilma Gacutan knew that life would never be the same. The water in her home was knee-deep and her roof had blown away. But these were minor concerns; outside, few homes remained standing. On November 8, 2013, Typhoon Haiyan devastated the Philippines with winds and a massive storm surge smashing through buildings and destroying everything in its path. Having spent her career as a relief operations officer in the area, Vilma had seen many disasters, but this was the worst storm to make landfall in recorded history. When her community ended up in the direct path of the storm, she joined the global Food for the Hungry emergency response team to provide immediate relief and before transitioning to longer-term development support. After the strong winds stopped and water subsided, damage was assessed and the deceased were identified. Six thousand people in the country were killed, and almost 200 remain missing. The typhoon forced 3.9 million people from their homes, and 27,000 people were injured. Water shortages and electricity outages ensued, and roads and vegetation were destroyed. FH responded in the first days by providing food and clean water. Soon, bedding, mosquito nets, hygiene kits, and other necessities were distributed as some villages had no access to government provisions. Within a few weeks, FH set up two Child Friendly Spaces in the region. In the mass confusion and instability that follow a disaster, these are safe spaces where children can heal and return to routine as their parents begin to sort through the aftermath. 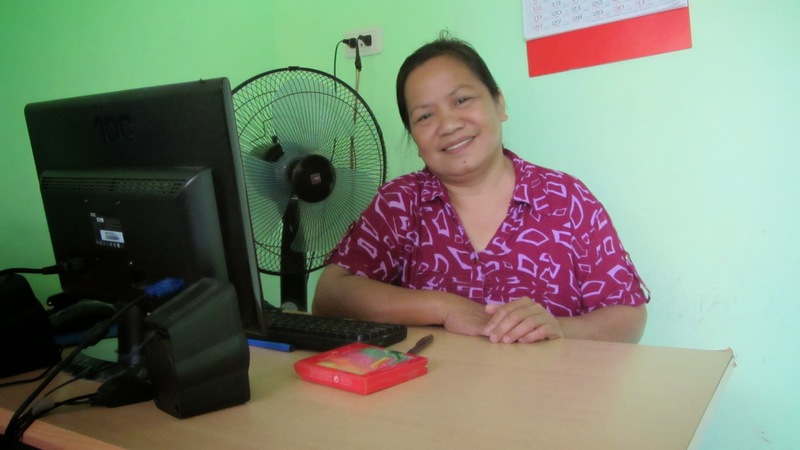 “Being part of the Child Friendly Spaces helped the children get excited to go back to school in spite of the trauma they went through during the typhoon,” says Vilma. With the school year interrupted, the program offered educational and creative opportunities for the kids, as well as a supportive environment as they worked through their changing circumstances. Volunteers were trained to help run the program, and counselling was available for some parents who had experienced extreme trauma. Vilma says that the mothers especially were so grateful for all the help offered through the program. 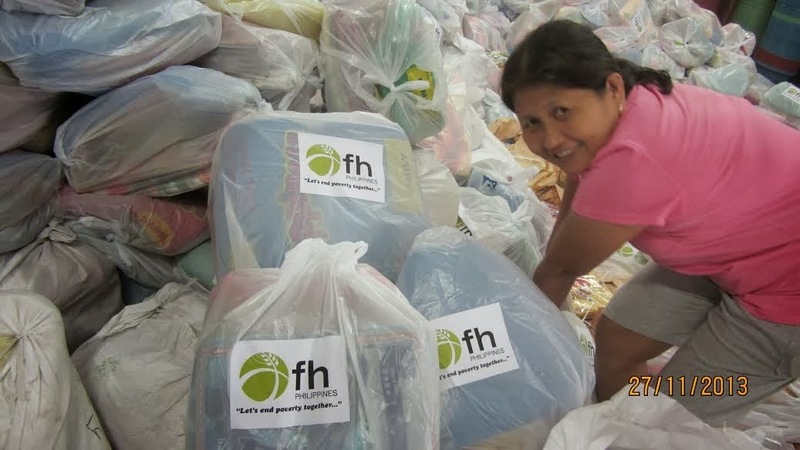 FH worked together with several partners and Filipino church networks on a fully coordinated response. In addition to the children’s programming and food and supplies distribution, they ran Cash For Work programs to clear the streets of debris and provide childcare in the Child Friendly Spaces. FH also partnered with local governments and the World Food Program to distribute rice every two weeks. Eventually the immediate needs subsided, and FH’s focus shifted from relief to rehabilitation and development. In addition to food provisions, distributions started including farming tools, vegetable seeds, and rice seeds to replant all the family crops that were lost. Cascade Groups, a model used around the world in FH development partnerships, were started as a way to teach health and hygiene lessons even in remote communities. An initial trainer teaches a group of volunteer Leader Mothers the lessons, and each Leader Mother then teaches 10 more mothers, who each teach 10 more, and so on. Local leaders in Typhoon Haiyan-affected Basey municipality are grateful for FH’s support moving forward. Percilis Cinco, a Basey village chairman, expressed gratitude that FH has committed to walk with the community until they’re able to stand on their own again. This will include helping local leaders and families rebuild in ways that will better withstand future storms. It also includes developing more comprehensive emergency preparedness plans and increasing the available medical resources. In addition to the generous donations from Canadians for the initial relief efforts, FH Canada also contributed to the long-term wellbeing of the affected communities by sending two 40-foot containers of specifically requested medical equipment and supplies, with a third container currently being planned. FH Canada’s International Medical Equipment Distribution (IMED) program works with the Canadian medical community to take recently replaced but fully functional equipment from storage lockers to hospitals and clinics in the developing world. Working with the Medicard Foundation and local leaders, FH is currently establishing a medical mission in the area. In a matter of months, Vilma has seen everything around her change. Neighbours were killed, houses razed, and infrastructure destroyed. But in spite of the tragedy, she stays positive and encourages others not to lose hope.